Of Brazilian cuisine is a mixture of Indian, African, Portuguese and Japanese kitchens. Brazil is well divided into different regions where people eat differently. North: Dishes based on meat and alligator schildpas by indigenous influences. Sometimes people eat dog meat. Northeast: Mainly African influences. Mainly use rice, soybeans, fish and shellfish. In the drier inland beef is more there, goat meat and cassava eaten. 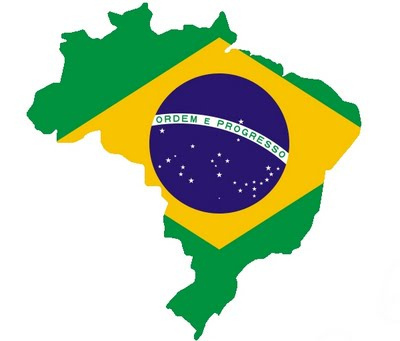 Southeast: This region (Rio de Janeiro, Sao Paulo, …) the most dishes known to abroad as the Frango com quiabo (chicken with okra) van Minas Gerais, feijoada (a kind of stew) van Rio, Face of the Paulista (“turned” van Sao Paulo: a combination of different dishes on one plate, with rice, beans, school, varkenskotelet, worst, egg and banana) en crumbs. South: This region is best known for dishes based on salted or dried beef and churrasco who knows more and more are emerging in the lowlands. In the south is also practiced viticulture and dairy production.